Focus on your writing, undisturbed, in a peaceful environment - with daily group feedback sessions led by Lucy Wadham (optional but included in price). 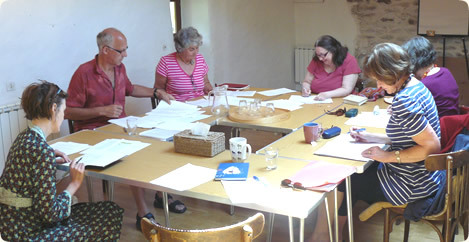 This retreat is for anyone who has a work-in-progress project: putting together a novel, a poetry collection, creative non-fiction, or simply would like creative time to muse, reflect and find inspiration in stunning surroundings, with a balance of solitude and the company of other writers. You'll be provided with a single room and delicious, home-cooked, vegetarian meals - which you can choose to eat with the other writers or on your own. There is also the possibility of having 1-1 mentoring sessions with Lucy or Sharon. Subject to availability, these sessions last an hour and will be geared towards any works-in-progress, whatever the stage of development. Lucy's sessions cost £60 an hour and can be booked in advance, with some flexibility once you are here and working on your project with her guidance. Sharon's sessions cost 50€ an hour and can be booked on site. Lucy Wadham was born in London and has spent 30 years in France. 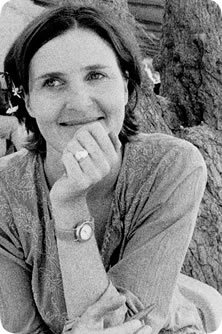 She is the author of three novels, 'Lost', 'Castro's Dream' and 'Greater Love' and a bestselling memoir, 'The Secret Life of France,' all published by Faber. ‘Heads and Straights,’ another memoir was published by Penguin in 2013. She is currently working on several TV scripts and her next novel. 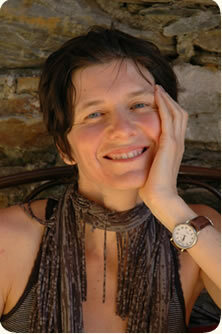 Sharon Black is originally from Glasgow but now lives in the Cevennes mountains of France. Her first poetry collection, 'To Know Bedrock' was published by Pindrop in 2011. Her second, 'The Art of Egg' came out with Two Ravens in 2015. In 2016 she took over Pindrop Press as editor and publisher.